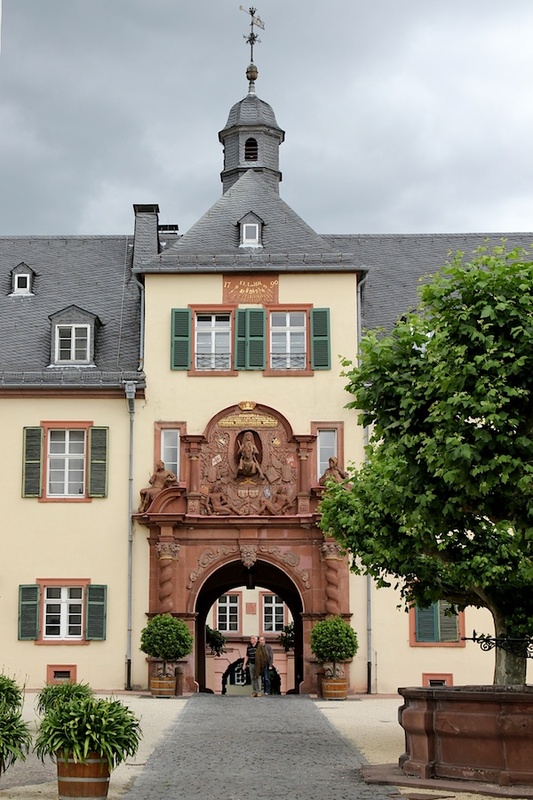 Bad Homburg is a spa town half an hour by train from Frankfurt. It is extremely pretty and apparently very wealthy (see, for instance, this tourist guide). 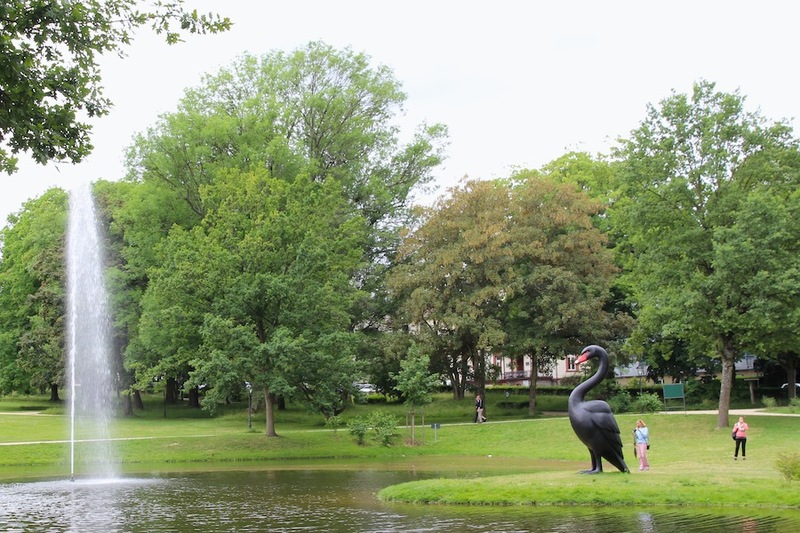 We went there for the first reason, not the second, and found ourselves wandering through picture-postcard territory with a bonus we should perhaps have known about but didn’t, a large open-air sculpture exhibition. 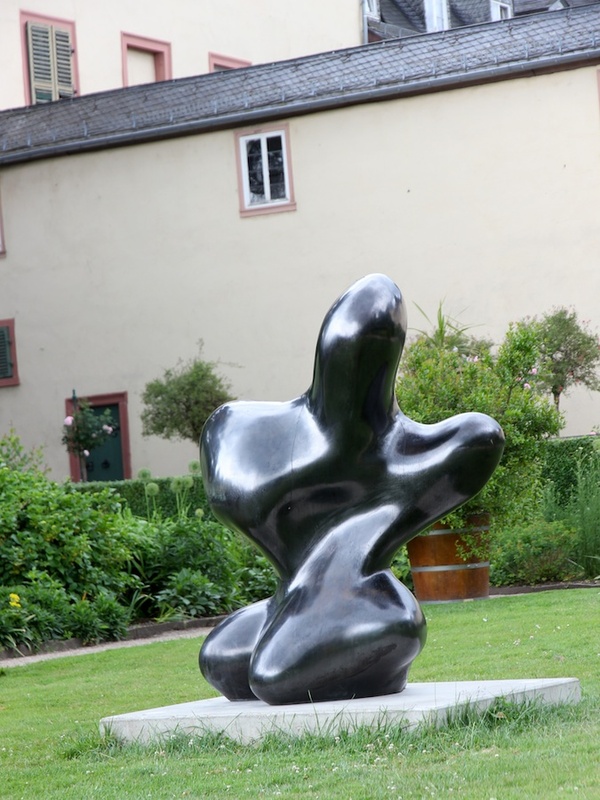 Blickachsen 9, Contemporary Sculpture in Bad Homburg and Frankfurt RheinMain, is the ninth in a biennial series and runs from May – October. The weather may not be as reliable as it is for our Strand Ephemera but other aspects are equal-but-different. Their “contemporary” is not as contemporary as ours but they can draw on a greater depth of artistic achievement; they don’t look out to sea as we do, but we don’t have a castle amongst our parks; and so on. Not many of the photos below are from Blickachsen, as you will see, but this link will take you to a slide-show and further details of many (all?) of the works if you’re curious. Click on any of my photos for a larger version, as usual. 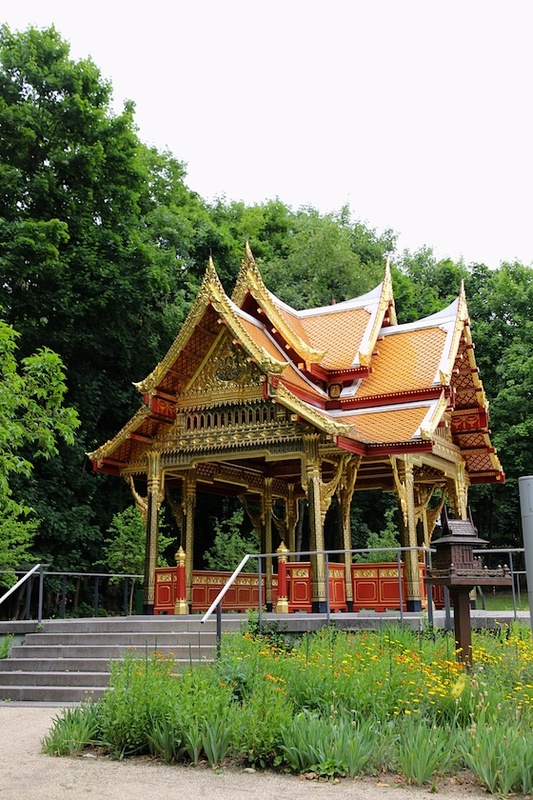 The new Thai sala or pavilion in the parklands, built in 2007 to commemorate King Chulalongkorn’s visit a century earlier. I was particularly pleased that it has a spirit house. “Black Swan” (I forgot to note the sculptor’s name) in the park. Part of Blickachsen. I will let this life-size statue in the foyer of the Baths stand for the late nineteenth century Germanic excesses of the town. 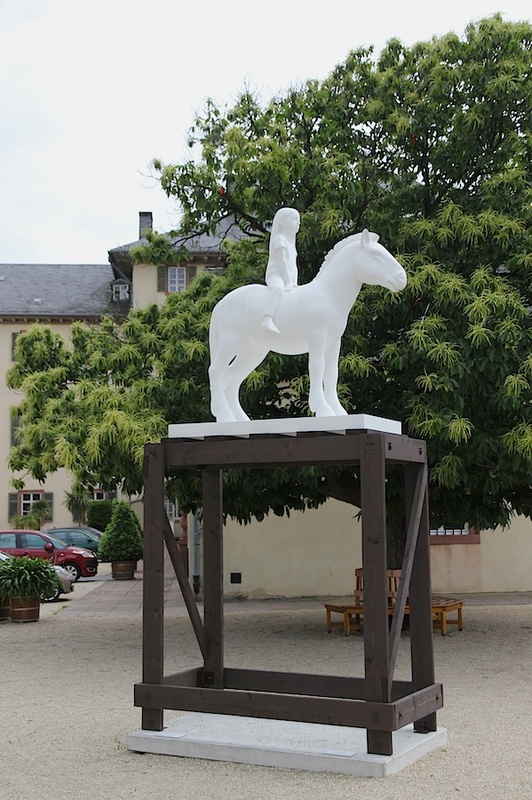 Kenny Hunter: “Horse and Rider”, 2013, in the Schloss courtyard. 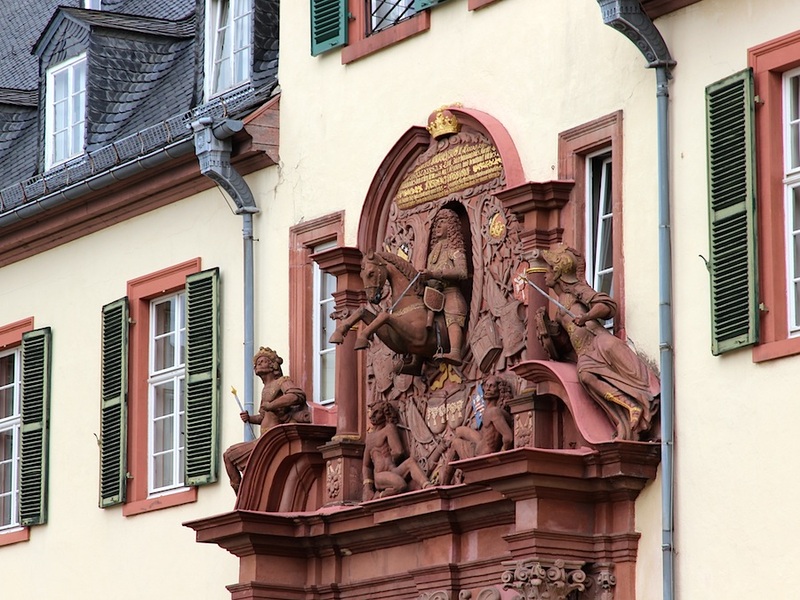 In context, it’s hard not to see this as an ironic comment on the pompous older equestrian statues infesting the town and, indeed, Europe.